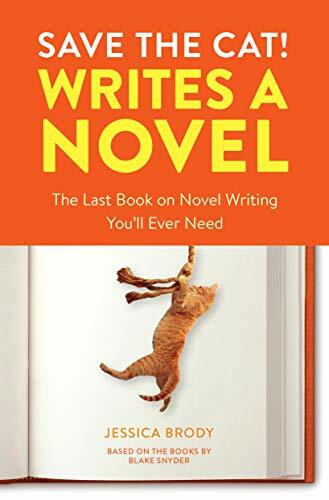 First, the rules: One must write a 50,000 word novel in 30 days, an average of 1,667 words each day. My rules: Forget everything you know about POV, character development, including five senses in every scene, dialogue, punctuation and what your middle grade English teacher taught you. Just write. Have fun. My result: All of my characters have multiple personalities, they love to dye their hair and own a rainbow of contact lenses, their scars (physical and mental) move across or up and down their bodies, it’s 90 degrees one day and snowing the next, none of the characters eat but they drink a lot of coffee, no one wears clothes, one of them marries his sister, one dies but appears perfectly healthy in the next chapter and not one of them resembles me or anyone else in my family. One more thing: I forgot to Save the Cat. Haha! And you have five and a half days left! Plenty of time to save the cat. I do wanted to do NaNoWriMosomething… I always get the letters mixed up, but you know what I mean… My understanding is that somewhere in the 50,000 mess of a first draft are some diamonds to mine, to take and build on them in the next draft. I love and enjoyed this post, Margie. It’s too funny and surely true. I’ve never done 50,000 words of freewriting, which is surely what most of it would be, and I can now envision how those words would read. Kudos to you for taking the challenge! Thanks, Mary Jo. I think this is the first time I’ve kept up my enthusiasm for the entire month. It’s a great way to lighten up after writing the heavy stuff.